As we researched into full-time travel, it was clear that we could not just buy a caravan and hit the road. We needed more ( bugger, I thought you bought a van, hooked it up and away you go, Nope!). As we wanted to be completely self contained and self sufficient due to being off grid as much as possible. The van came with one battery which was 100amp hour. We decided to upgrade this and instead have three 120amp batteries. These are under our club lounge at the front of the van ( refer to larry's battery page). 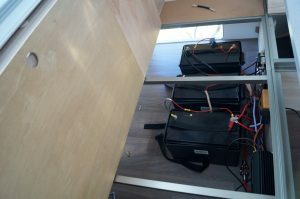 We also added an extra 120amp battery to the Ute to work with our extra 2000W inverter. Although the Starcraft comes with a management system this would not work effectively for our set up. As we had added more to our set up. We bought a Redarc battery management system. 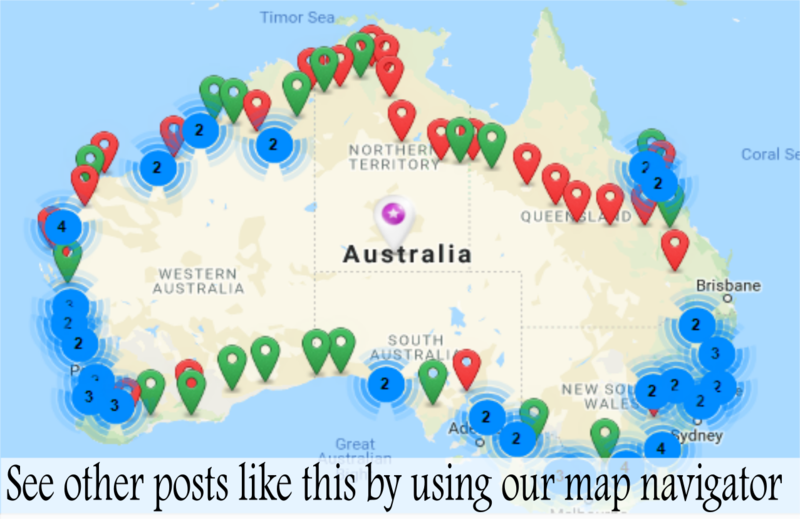 This tells us how much charge we are getting and how much we are using. It's hard not to check on it several times a day to see what percentage it's at. When you do see it's at 100% you cant help but feel a little excited (you will understand once you get one ;). We added a 82ltr Gray water tank as well. From researching online there seems an increase in places that ask you to be fully self contained. This is term varies depending on who you ask. There are a few different opinions to what that means. 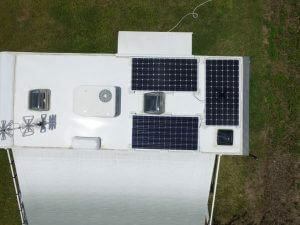 We have a 2000/4000w inverter in the Ute that we can run our coffee machine toaster and other high draw appliances off. We decided on getting a 3kg washing machine. We often read many people complain about camp site washing machines. Apparently is common for clothes to come out covered in pet hair, as people washed dog blankets. Jayco mentioned it would consume ½ a tank of water per wash. So far we have only used it once to test it, while connected to mains water. It used both full tanks for one wash. This was a full wash and worst case scenario on our shakedown trip. So far we have mostly been on bore water and the tap seems to have a kind of very fine sand in it. The filter doesn't work 100% on this but we are sure it will be fine on other water. Due to this we bought another filter for the main drinking hose. Since we connected the other filter we have not had the fine sand problem. We bought a generator to back up our solar panels if we were in a critical situation. We even tried to use it for our air conditioning and it worked. As we will be off grid more often than not we won't be able to use our air-con ( unless we use the generator). We would rather not use the generator unless its absolutely necessary or if we are the only ones around and not bothering anyone with the noise. Caframo 12V fans, they are small but priceless. We have one over the bed and can swivel it towards the kitchen and lounge. 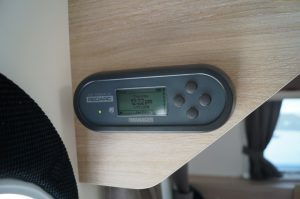 They have a three speed settings and a timer, from two to eight hours, which is great to go to sleep with. I read online that they were noisy for some people. For someone who slept with ear plugs for years as we lived in a noisy place, I can say it not as bad as I read. Yes there is a little something but when I turned it off one night I could hear traffic noise, so turned it back on. It so little power (0.2amps) it's not worth mentioning.